Description: Popular Mayfair Court at No. 3 and Williams Rd in Richmond. 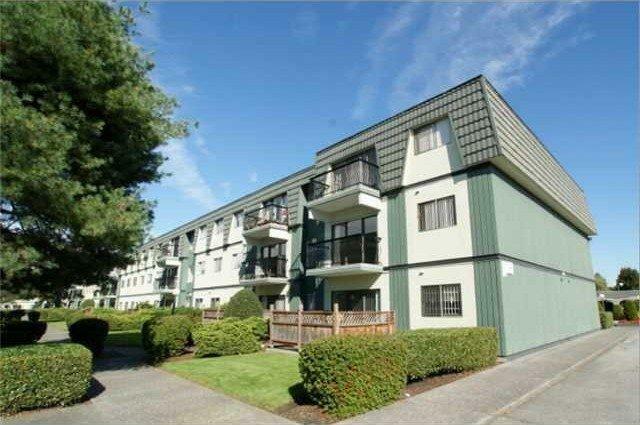 This top floor unit features 1100 sf 3 spacious bdrms, 1.5 bath, insuite laundry and laminated wood floor. Maintenance fee includes property tax, heat, hot water and 1 parking. Well managed building with upgraded exterior balcony. Close to transit, mall and schools. School: High ranked McRobetrs Sec, Frnch Immersion Bridge Elem. Rental allowed with potential rent $1400/month.